I graduated college with a degree in Communication in 2004. Since then, I have had five different full time jobs. Eight years, five jobs – none of which were traditional promotions. I’d seek a new position that sounded alluring, get it, then quit my current role. Each time there was more money to be made, more experience to gain, and something new to chase. Call me the queen of two weeks’ notice (yes – I’ve even advised friends on how to give notice because I’d perfected the craft). I tried to convince myself it would be the last “new company”. Each time I moved, I told myself “this is the place I will grow.” Ironically, that growth was stunted after about 8 months in just about every one of those roles. This time there was no new more exciting role. 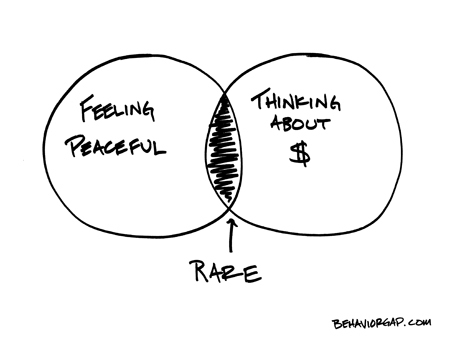 Just me and my search for that rare space between feeling peaceful and not worrying about money. This time it is about finding purpose. Woot! I'm already on the bus! Also, I like your “about me” section regarding being benjamin button. Living life backwards, hindsight being 20/20… ain't that the truth.